Life is tough for a girl who loves her high heels , because they don't love you back ! Instead I end up getting cracked heels frequently .The sun and long walks make my feet dry too .So I really need to pamper them regularly which means foot creams and regular parlour visits for professional pedicures . But most of you must know from their experience , how time consuming it can be and also a little heavy on the pocket .A good professional pedicure sets you back by Rs 500 to Rs 1000 in any decent parlour ,and takes anything upwards of forty five minutes to one hour .For me it is even more demanding as I have to visit the parlour every 15 days . That is why , I had been eyeing the Scholl 's express pedi kit everytime I would visit the Bata showroom .Finally I took the plunge and acquired it .So now for the review . Price - Rs 2850/- for one unit , but when I checked online , Amazon.in is offering it for a great discount .You can check it out here . Also extra roller blades are available for Rs 799/- per piece online . Presentation - It comes packaged in a transparent plastic case .I just love the oceanic blue aqua colour with the silver band .It is definitely very attractive .It come swith a plastic protective cover for the roller blade to keep it clean . Instructions are printed in detail on the back of the packaging . 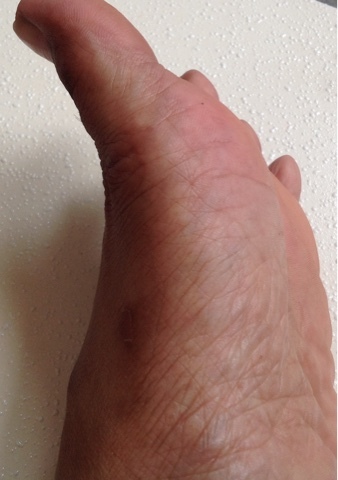 It is very easy to use Scholl's electronic foot file . 1.To Get Started- Insert the roller into the device, making sure it is fully engaged. Insert the batteries and turn on the device. For best results, your feet should be clean and dry. 2.Move the unit in regular passes over the dry, dead skin, applying light to medium pressure. Continue with regular passes until the dead skin is removed and your feet feel silky soft. Stop if the skin becomes sore or inflamed.You should not use the roller in a single area for more than 3-4 seconds . You just have to Roll it! Roll it !Baby ! Also do not apply hard pressure or the file will stop .Just continue to gently navigate it on your soles and heels . 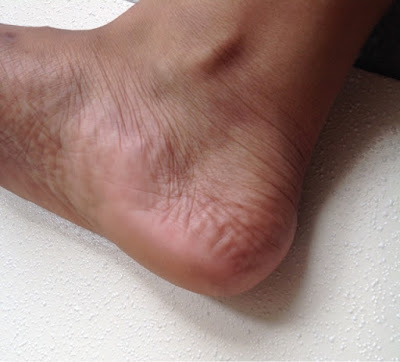 3.Moisturize after Use -Wipe or rinse feet to remove any excess dead skin and thoroughly dry feet. 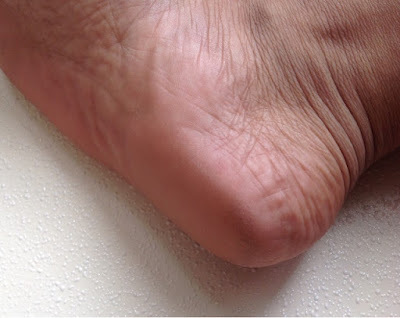 Finish by applying a foot balm or cream, such as Scholl Velvet Smooth Daily Foot Cream Moisturizer. 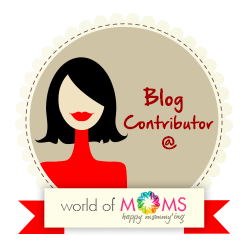 I have been using my FabIndia Foor cream . 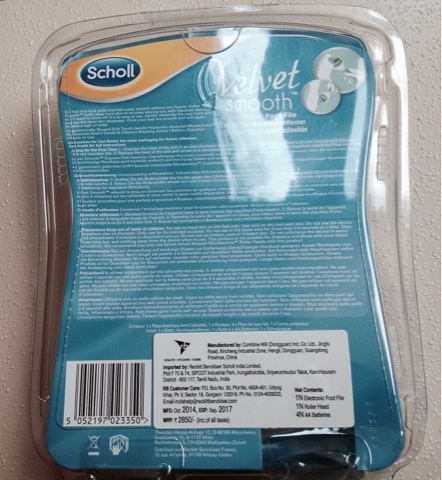 4.For Use on Dry Skin Only - Do not soak your feet before using the Scholl Velvet Smooth . This will make it impossible for the hard skin to be effectively removed. 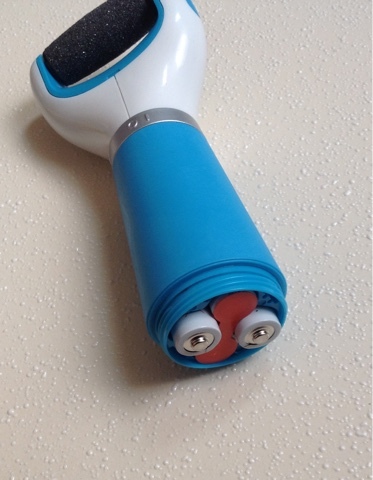 The device should be used on dry skin only. 5.Replace Roller Head as Needed - One roller head is included with the gadget. The roller head should be replaced when it is worn and is available for purchase separately. The wear depends on the intensity and duration of the treatment sessions.Going by my expereince I think a single roller will really last me at least 6 months even if I use it every week . So some mental maths , If I go to the parlour I pay Rs 800 per visit every fortnight that makes Rs 800 x 2 = Rs 1600/- per month . Cracks and dry scaly skin is reduced greatly .It was my first time so I tried not to overdo .I am sure the second time every visible and even tiny crack will be gone . 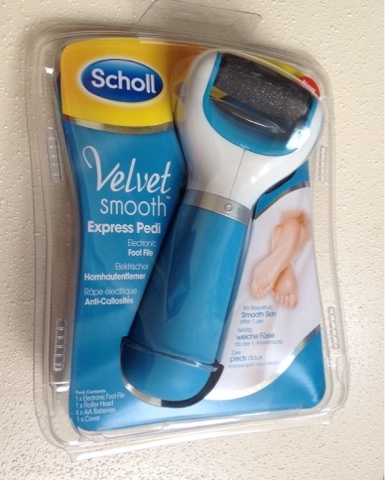 If I use Scholl's Express Pedi foot File , I pay Rs 2800 ( It is only Rs 1299/- at Amazon !) and assuming that I use it four times in month and one roller blade lasts me six months , my single at home session would cost me - Rs 115/- per session . That is way cheaper than any salon ,even if I add the cost of the foot cream to it .It will not be more than Rs 150 /- per session .Which comes to Rs 600/- per month .Now that is very economical and convenient ! This is a great gift for mothers and mother-in -laws who do not like to visit the parlour very often . Plus I can use it anytime , or even daily in the privacy of my home ,or when I need to suddenly go out and need velvety smooth feet ! 6.The Scholl Velvet Smooth Electronic Foot File can be used in successive sessions until your feet feel soft and are free from hard skin. 1. I used it as per instructions on the packaging and found it very easy to operate and assemble .It looks bulky but is actually designed in such a way that you can grip it nicely and move it around easily .Also it is quite light hardly 200-250 gms . 2. I used it on dry feet and just for the record I had developed really cracked feet and did not get a pedicure for at least last 15 days just to test the file . 3. It is quite gentle on the hard skin but you have to be careful about not using it on the same area for more than 3-4 seconds . 4. You can actually see dead skin sloughing off ,peeling off very fast and the skin getting softer. 5. 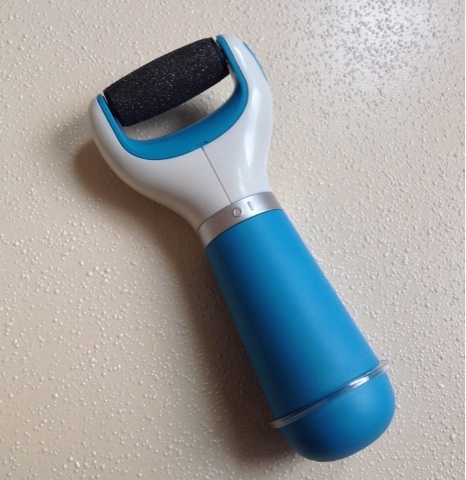 I could find it working very nicely on hardened areas of skin and calluses and am hopeful that the cracks would go off in two to three sessions.I used it for about five minutes in total . 6. I used a foot cream after washing my feet well . 7. It does not hurt at all and is a very effective tool , quite handy too. I rate it a 4.8 /5 ., minus points because it will not do your cuticles and not shape your nails (!) 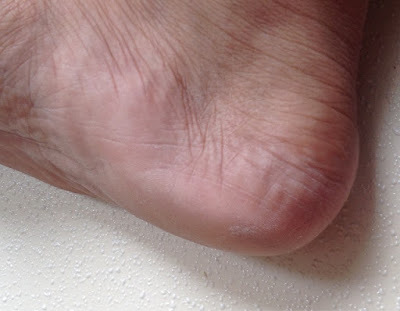 but otherwise it is a very good solution when you need beautiful feet quickly at short notice and regular use will also take care of cracks in the feet .All in all a painless, private ,value for money procedure that promises to give you smooth feet in no time . Dip your feet in a warm shampoo solution and use a brush to clean your feet and nails aftre filing with Scholl Velvet Smooth Express Pedi Electronic foot file and then trim your nails ,push back the cuticles .Apply your favorite foot cream or any moisturiser and gently massage it in .Finish off with a coat of your favourite nail paint and you are done and sorted ! 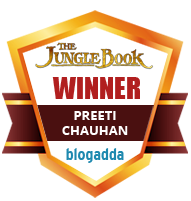 Wow nice review preeti. I am very careless when it comes to my feet. it appears that it could be a good investment for me. Even i am quite happy with this , as I did not need to visit a parlour since I brought this home ! I wanted to get this one for me, after reading your review. I had been eyeing this one for quite a while now...seems its time to shell out the bucks! As you can see ,in my experiments with truth type here , this product works efficiently in removing dead and scaly skin and gives smooth looking feet .